Cano’s ADP is very baffling to me. He has consistently been one of the premiere second basemen in Major League Baseball. Last season, he missed 80 games due to a suspension, but hit .303 with 10 home runs and 50 RBI. He now becomes the best offensive player in a good Mets’ lineup. He should have plenty of opportunity to provide production across the board. Over the course of his career, his 162-game average has provided a .304 BA with 24 home runs, 42 doubles, and 96 RBI. In addition, he strikes out just 85 times a season on average. I have Cano ranked 5th among second basemen in my pre-season rankings, and I thought that may have been a slot or two low. I’m jumping at the opportunity to get him in 7th-9th round range. I like Peraza as a player; as a fantasy player, he only contributes to a couple different categories. The standard leagues contain five categories: batting average, runs, home runs, RBI, and stolen bases. He will be a very good source of stolen bases and will maintain a good average. The Reds are a team on the upswing, however, I’m not sure the opportunity to score 100 runs will be there just yet. As far as home runs and RBI, he provides next to nothing. I like him as a depth piece to provide stolen bases, but I’m not willing to use a top-10/12 draft choice for a depth player. I currently have Peraza ranked 41st among qualified second basemen primarily because he only truly contributes to two of the five standard categories. I’d love to take him late in the draft to provide depth, but considering he’s currently being drafting in the first 12 rounds, I’m happy with other options that provide more consistent value. With the recent signing of Daniel Murphy, it’s possible that Hampson will not get much playing time with the Rockies this season. It’s also possible that Murphy slides over to first to allow Hampson, the second basemen of the future, to regularly get into the lineup; because let’s face it, he needs to be in the lineup. He’s a career .315 hitter in the minors and hit .275 in his short stint in the big leagues last season. The Rockies were content with letting free agent 2B D.J. LeMahieu head to the Bronx because they know what have in Hampson. 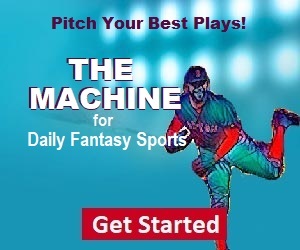 The second base position is generally a top-heavy position in fantasy baseball and Hampson is worth a late-round pick to stash for later as he should see plenty of playing time with the Rockies this season.